The Money App app is very simple to use. Getting some extra money really is as easy as 1, 2, and 3. Money App provides you access to its online service (the “Service”) on www.moneyapp.org (the “Money App Website”) and the related Money App software on your mobile device or other computing device. The Service is a social networking based suite of integrated mobile and web applications that allow partner Advertisers to provide Users with offers (“Opportunities”) to earn credits that are redeemable for cash if they perform specified tasks or comply with certain requirements set forth in such Offers. Your use of the Service is subject to your acceptance of and compliance with these terms of service (the “Terms of Service” or the “Agreement”). If you do not agree to these Terms of Service, please do not use the Service. These Terms of Service shall apply to all transactions conducted through the Service. The term of the Agreement will commence on the date you enroll as a User and will end when terminated by either party in accordance with the terms of the Agreement (the “Term”). All Contests prizes and “rewards” given by Money App are not affiliated with Apple Inc. Contests are solely sponsored by the Money App. All Prizes & or rewards are NOT Apple products; and or do they have any association with Apple. Participating Advertisers create and list Offers on the Service, which allow Users the chance to receive Rewards from the Advertiser in exchange for performing specified tasks or complying with the requirements (such tasks and/or requirements constituting the “Requirements”) set forth in the Offer. Each Opportunity listing contains a description of the Requirements and the corresponding Reward to be provided by the Advertiser. Money App provides the Service to facilitate the relationship between Advertisers and Users. Advertisers are solely responsible for the content of their Offers listings and for the payment of any identified Rewards to Users. You will not express or imply that any statements you make are endorsed by Money App without our specific prior written consent. User acknowledges and agrees that the obligation to provide Rewards earned by Users in connection with Offers resides with the Advertiser, not Money App. Money App merely facilitates such Rewards on behalf of the Advertisers. User waives any and all claims or rights of action against Money App relating to the failure of an Advertiser to pay User a Reward. In addition, User acknowledges that User is: (i) not an employee of Money App, (ii) responsible for the payment of all taxes on compensation received from an Advertiser, (iii) responsible for any reporting requirements imposed by the federal, state or local government, and (iv) responsible for compliance with all other applicable laws and regulations. By participating in the Service and accepting Rewards, User grants Money App and the specific Advertiser providing the Reward a worldwide, royalty-free, non-exclusive, sub-licensable, unconditional, perpetual and transferable license to use, display, perform, reproduce, republish, and distribute any content or any portion thereof (“Content”) provided by a User in connection with the Service or an Opportunity in all forms of media and through any media channels (now known or hereafter developed), including but not limited to television, radio, print, Internet site and other electronic communications. You acknowledge and agree that the Content you submit, post or display may be viewed by other Users of the Service and through third party services. You should only provide Content that you are comfortable sharing under these terms. Children under the age of thirteen (13) are not be the target audience of Money App Offers and Money App strives to protect their privacy. For this reason, Advertisers are prohibited from posting any Offer that targets children and underage people are prohibited to use the service. MoneyApp team will suspend accounts that don't comply with this simple rules. Outside of an app provided by Money App, any attempt to utilize automated programs, bots, screen scraping, database calls, human initiated data collection or any other means of gathering data, content or other information for the purpose of reverse engineering our platform for commercial or personal gain is strictly prohibited. Money App is constantly innovating and changing its Service offering in order to provide the best possible experience for its Users. You acknowledge and agree that the form and nature of the Service which Money App provides may change from time to time without prior notice to you. You acknowledge and agree that Money App may stop (permanently or temporarily) providing the Service (or any features or functionality within the Service) to you or to Users generally at Money App sole discretion, without prior notice to you. You and/or Money App may terminate the Agreement and/or your participation in the Service at any time, for any reason or for no reason, and Money App shall not have any liability regarding such decisions. Sections 2 through 17 of these Terms of Service shall survive any termination of the Agreement. Each User and Advertiser participating in the Service represents, warrants and covenants that (i) it has sufficient authority to enter into the Agreement; (ii) its use of Money App services is solely for lawful commercial and business purposes; (iii) it has the necessary rights to provide all information provided under the Agreement (including all content, data, Offers, titles, URLs and descriptions) for use as described in the Agreement, and that all such information and all claims, statements, products and services contained or referenced herein and in the Website or submitted by an Advertiser or User: (a) do not violate any law, statute, ordinance, treaty or regulation or Money App policy or guideline; (b) do not infringe any copyright, patent, trademark, trade secret or other intellectual property right of any third party; (c) do not breach any duty toward or rights of any person or entity including rights of publicity or privacy, and have not otherwise resulted in or are not likely to result in any consumer fraud, product liability, tort, breach of contract, injury, damage or harm of any kind to any person or entity; (d) are not false, deceptive or misleading; (e) are not defamatory, libelous, slanderous or threatening; (f) will be free of viruses, Trojan horses, trap doors, back doors, Easter eggs, worms, time bombs, cancelbots or other computer programming routines that may potentially damage, interfere with, intercept, or expropriate any system data or personal information; and (g) comply with the applicable Master Agreement (if applicable); (iv) it will not engage or cause others to engage in any form of spamming or improper or malicious, as determined by Money App, clicking, impression or marketing activities through the Service, and it will comply with all applicable laws including complying with all applicable laws such as the CAN-SPAM Act of 2003; and (v) it will not use the Service to “stalk” or otherwise harass another person or harm any persons or entities in any way. 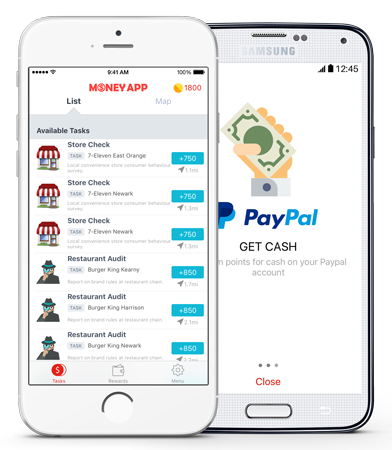 Money App and other Money App graphics, logos, designs, page headers, button icons, scripts, and service names are registered trademarks, trademarks or trade dress of Money App in the UK and/or other countries. Money App trademarks and trade dress may not be used, including as part of trademarks and/or as part of domain names, in connection with any product or service in any manner that is likely to cause confusion. The images and icons available on our media page may be used by partner and third party sites in connection with journalistic promotion of our services, commercial applications are forbidden except where pre-approved in writing. Each User and Advertiser participating in the Service agrees to indemnify and hold harmless Money App, its parent and affiliates and their officers, directors, licensors, partners, licensees, consultants, contractors, agents, attorneys, employees, third party service providers and third parties authorized by Money App to make your listings, results, and/or Service available in connection with third party Websites, blogs, postings, content, applications and/or e-mails (“Third Party Products”), and their respective officers, directors, agents, affiliates, and employees (each, a “Money App Entity” and collectively, the “Money App Entities”) from any and all claims, liabilities, costs and expenses, including reasonable attorneys’ fees (collectively, “Claim(s)”), that actually or allegedly result from such User or Advertiser’s information, use of the Service, submissions to the Service, or its breach of the Agreement. 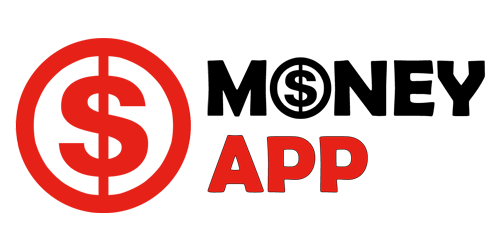 Each User and Advertiser agrees to be solely responsible for defending any Claim against or suffered by Money App and/or any Money App Entity, subject to Money AppRewards and/or the Money App Entity’s right to participate with counsel of its own choosing, and for payment of damages or losses resulting from all claims against Money App, and/or any Money App Entity provided that you will not agree to any settlement that imposes any obligation or liability on Money App and/or an Money App Entity without Money App prior express written consent. EACH ADVERTISER AND USER EXPRESSLY AGREES THAT THE SERVICE IS AVAILABLE ON AN “AS IS” BASIS, WITHOUT WARRANTY OF ANY KIND, EXPRESS OR IMPLIED, AND THAT ITS USE THEREOF IS AT ITS OWN RISK. WITHOUT LIMITING THE GENERALITY OF THE FOREGOING, Money App DISCLAIMS TO THE MAXIMUM EXTENT PERMITTED BY LAW ANY AND ALL WARRANTIES, EXPRESS OR IMPLIED, INCLUDING, WITHOUT LIMITATION, ANY (i) WARRANTIES OF MERCHANTABILITY OR FITNESS FOR A PARTICULAR PURPOSE, (ii) WARRANTIES AGAINST INFRINGEMENT OF ANY THIRD PARTY INTELLECTUAL PROPERTY OR PROPRIETARY RIGHTS, (iii) WARRANTIES RELATING TO DELAYS, INTERRUPTIONS, ERRORS, OR OMISSIONS IN THE SERVICE OR Money App WEBSITE, OR ANY PART THEREOF, (iv) WARRANTIES RELATING TO THE TRANSMISSION OR DELIVERY OF THE SERVICE OR THE Money App WEBSITE, (v) WARRANTIES RELATING TO THE ACCURACY OR CORRECTNESS OF DATA, AND ANY OTHER WARRANTIES OTHERWISE RELATING TO PERFORMANCE, NONPERFORMANCE, OR OTHER ACTS OR OMISSIONS BY Money App. FURTHER, AND WITHOUT LIMITING THE GENERALITY OF ANY OF THE FOREGOING, THERE IS NO WARRANTY THAT THE SERVICE OR THE Money App WEBSITE WILL MEET A USER’S OR AN ADVERTISER’S NEEDS OR REQUIREMENTS OR THE NEEDS OR REQUIREMENTS OF ANY OTHER PERSON. IN ADDITION, EACH USER AND ADVERTISER ACKNOWLEDGES AND AGREES THAT Money App’S WARRANTY DOES NOT COVER TELECOMMUNICATIONS OR INTERNET OUTAGES CAUSED BY THIRD PARTIES OR OTHERWISE OUTSIDE OF Money App’S CONTROL. THE SERVICE MAY BE LIMITED BY MANY FACTORS, INCLUDING INHERENT RISKS OF THE INTERNET. BECAUSE SOME STATES DO NOT ALLOW THE EXCLUSION OR LIMITATION OF CERTAIN CATEGORIES OF DAMAGES OR IMPLIED WARRANTIES, THE ABOVE LIMITATIONS MAY NOT APPLY TO YOU. IN SUCH JURISDICTIONS, Money App’S LIABILITY IS LIMITED TO THE GREATEST EXTENT PERMITTED BY LAW. Money App LIABILITY IN CONNECTION WITH THE AGREEMENT, UNDER ANY CAUSE OF ACTION OR THEORY, SHALL BE STRICTLY LIMITED TO $100. Money App SHALL NOT BE LIABLE TO USERS FOR DAMAGES OF ANY KIND ARISING OUT OF A USER’S USE OF THE SERVICE. WITHOUT LIMITING THE FOREGOING, IN NO EVENT SHALL Money App OR ANY Money App ENTITY BE LIABLE FOR ANY INDIRECT, SPECIAL, INCIDENTAL, CONSEQUENTIAL, PUNITIVE, OR EXEMPLARY DAMAGES, ARISING OUT OF, OR IN CONNECTION WITH, THE AGREEMENT. ADVERTISER AGREES THAT ADVERTISER WILL NOT HOLD Money App RESPONSIBLE FOR THE SELECTION OR RETENTION OF, OR ANY ACTS, ERRORS, OR OMISSIONS BY, ANY THIRD PARTY IN CONNECTION WITH THE AGREEMENT, INCLUDING WITH RESPECT TO PARTICIPATION OR ACCESS BY ANY THIRD PARTY ON ADVERTISER’S LISTING(S) OF OFFERS, REGARDLESS OF THE INTENT OF SUCH THIRD PARTY. THE FOREGOING LIMITATIONS APPLY WHETHER THE ALLEGED LIABILITY IS BASED ON CONTRACT, TORT, NEGLIGENCE, STRICT LIABILITY OR ANY OTHER BASIS, EVEN IF Money App OR ITS AFFILIATES OR ANY OTHER PARTY HAS BEEN ADVISED OF THE POSSIBILITY OF SUCH DAMAGES. BECAUSE SOME JURISDICTIONS DO NOT ALLOW THE EXCLUSION OR LIMITATION OF INCIDENTAL OR CONSEQUENTIAL DAMAGES, Money App’S LIABILITY IN SUCH JURISDICTIONS SHALL BE LIMITED TO THE EXTENT PERMITTED BY LAW. Any dispute referring or relating to the Agreement or between the parties shall be governed by the laws of the England, without regard to its conflict of laws principles. You agree to submit to the exclusive jurisdiction of the courts located in London. Any claim against Money App arising from the Agreement shall be adjudicated on an individual basis, and shall not be consolidated in any proceeding with any claim or controversy of any other party.